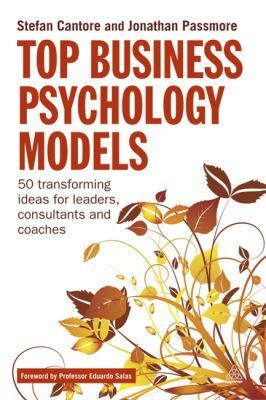 This book is aimed at consultants and managers interested in psychology - organisational and positive psychology - and its application in business. It offers readers a short hand guide to the topic in a practical guide which explains the main theories and models used by psychologists, whilst avoiding the jargon and academic style common in many psychology texts. Each model is presented in a short, easy to access form which could be easily converted into materials for use in training or in coaching conversations. Stefan Cantore is a consultant in the areas of leadership and management development, with a focus on teaching leaders and organizations to use conversation as a process for change. He is also the co-author of Appreciative Inquiry for Change Management with Jonathan Passmore and Sarah Lewis (published by Kogan Page).